I love history, photography and riding my bike. When I get to combine all three into one experience, it is nirvana. I rode the length of the Erie Canal across New York state in 2013 while working at my former job as a photojournalist here in Rochester. I loved that the riding was generally flat and largely off road with all sorts of history to be found along the way. The trail is populated by canal towns that sprung to life in the 19th century, some that continue to thrive to this day, others ghosts of their former lives, but all providing a hint of what was. In all, it's a fascinating trip on crushed stone, flat grassy single track and yes, pavement, across the Empire State from Buffalo to Albany. Since making that trip, I have wanted WomanTours to offer this trip to our guests. Sometimes, you get what you wish for. I have been entrusted to organize and scout this new tour for WomanTours to be added to next years schedule. As the newest employee, this will be my first time taking on such an important assignment. It is no small task, but I am working under the guidance of everyone here in the office who between them have years of experience planning new tours. 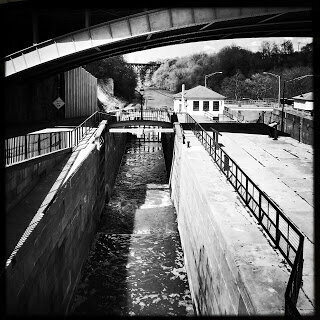 I began my hands on work yesterday scouting Lockport, NY, the home of the historic Flight of Five locks built to move boats up and down the Niagara Escarpment, a true engineering feat in 1824. This is where we plan on beginning our tour. While stopping at the Niagara County Historical Society, I happened upon a school tour where the kids were learning about former Lockport resident Belva Lockwood, who twice ran for president of the United States in 1884 and 1888. 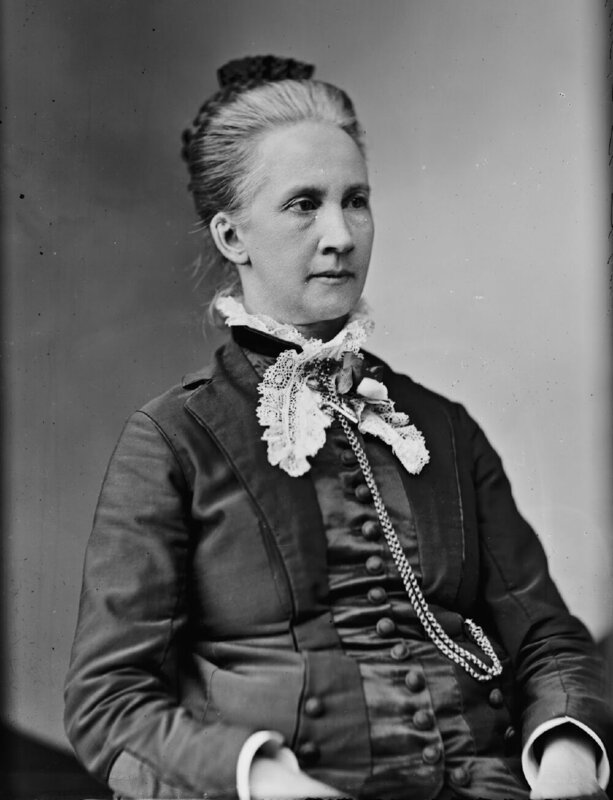 Belva Lockwood, who was she, I thought. Was I ever taught about this woman in school? (Perhaps my 58 year old brain just can't remember) I was instantly curious and did some Google searching to find this amazing woman and her history. Born near Lockport, she married at 18 and was widowed with a young daughter three years later. Realizing she would need to support herself, she attended school for three years so that she would be able to teach. She taught at the Lockport Union School for several years before moving on to attend law school and become a lawyer in Washington, D.C. Her story is a great one and well worth reading. As icing on the cake, in her 50's, she became a bicyclist. I have a long way to go and a lot work to do to finish planning this tour that will start in Lockport and end in New York's capital city of Albany, but now I can take thoughts of Belva Lockwood with me as I ride.